Tonight on the Midnight Tracker, we borrow from our home blog. NRBQ — the New Rhythm and Blues Quartet — has been around since the late ’60s, cranking out good-natured, irreverent tunes in a variety of styles. Having seen them two or three times, I assure you they’re better live than recorded. They’re best seen with an audience that gets them. They played to respectable, enthusiastic crowds at the old Headliners club in Madison, Wisconsin, in the mid-’80s. They played to a tiny, clueless crowd at a summer festival in Green Bay, Wisconsin, just a couple of years ago. I think there were eight of us in the audience at one point. 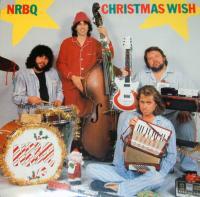 But let us return to the late ’80s, when I received NRBQ’s “Christmas Wish” as a Christmas gift from the lovely Janet. When NRBQ recorded this, its lineup consisted of Terry Adams on keyboards, Al Anderson on guitar, Joey Spampinato on bass and Tom Ardolino on drums. These guys were together for 20 or so years, from the mid-’70s to the mid-’90s, and are considered the classic NRBQ lineup. Though only Adams and Spampinato remain as regular members of NRBQ, it’s not clear whether the band remains a going concern. They’ve played on and off over the last couple of years, with the usual variety of side projects. “Christmas Wish,” the single, was written by Spampinato. It came out first on a 45, backed with “Jolly Old St. Nicholas,” and released in 1980 as Red Rooster/Rounder 1006. Five years later, they rounded up those tunes, added some live bits and other assorted noodling and released it on a 12-inch 45. “Christmas Wish,” the EP, clocks in at a crisp 11 minutes. Typical irreverence from The Q. “Christmas Wish” Side 1: “God Rest Ye Merry Gentlemen,” “Christmas Wish,” “Electric Train” and “Here Comes Santa Claus.” It runs 5:26. “Christmas Wish” Side 2: “Jolly Old St. Nicholas,” “Jingle Bells,” “It Came Upon a Midnight Clear” and “Christmas Wish (Reprise)” It runs 5:34. All by NRBQ, from “Christmas Wish,” the original vinyl 12-inch 45 EP, 1985. It’s out of print, but was re-released on CD this year as “Christmas Wish: Deluxe Edition.” It’s expanded from eight short tunes to 19 short tunes and presumably just more of the same silliness. When Bob Seger’s “Beautiful Loser” album was released in 1975, he was 30 and had been working on the Detroit rock scene since his teens. He’d had several regional hits, with “Ramblin’ Gamblin’ Man” his biggest, reaching No. 17 nationally in 1968. He was well-regarded in Detroit and the Midwest as a hard-working rocker and a fine songwriter. Yet he was not nationally known. It’s hard to think of Seger that way today because he’s been such a big star for so long. There are those who know Seger only for his work with the Silver Bullet Band. Then there are those of us who listened to Seger before the Silver Bullet Band. I find early Seger more interesting than Seger the hit-maker. I stopped buying Seger’s albums after this one. What I heard on the radio and on his Silver Bullet Band-era albums seemed too polished, too mannered, lacking the grit and authenticity of his earlier work. Tonight’s side, from “Beautiful Loser,” captures Seger on the verge of hitting it big. Three of the four cuts on Side 1 also turned up on “Live Bullet,” which came out a year later and was Seger’s breakthrough album. Seger is backed by the Muscle Shoals rhythm and horn sections on “Beautiful Loser,” giving the harder-rocking tunes plenty of sock. 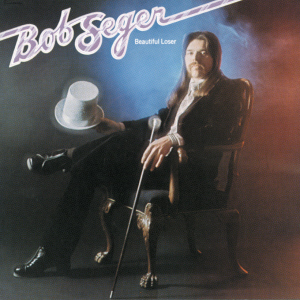 “Beautiful Loser” is fine early Seger, so much so that it’s only one of two pre-Silver Bullet albums still in print. The other is “Smokin’ O.P.’s,” a fan favorite from 1972 which features several covers. 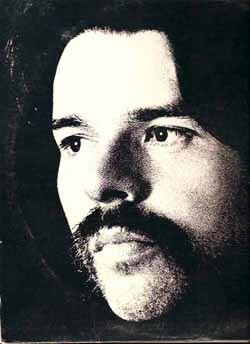 “Beautiful Loser,” “Black Night,” “Katmandu” and “Jody Girl,” Bob Seger, from “Beautiful Loser,” 1975. It runs 16:16.